Tatton Asset Management (LON:TAM) is the topic of conversation when Zeus Capital Research Analyst Robin Savage joins DirectorsTalk. Robin explains the services TAM provides, what shareholders should expect in return, why Robin thinks there is a potential doubling of AuM over the next 4 years and the assumptions made in getting there. Robin also explains how investors can estimate the fair value of the company. Tatton Asset Management plc was founded by entrepreneur and current Chief Executive Officer, Paul Hogarth who had previously co-founded and developed the then largest IFA support services business in the UK, Bankhall. Paul’s vision in starting Tatton Asset Management was to create a range of services to power the UK’s leading financial advisers, facilitating expansion and enabling them to better service their clients. 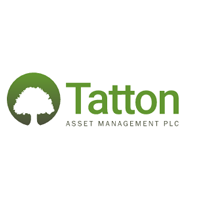 Tatton Asset Management offers on-platform only discretionary fund management, regulatory, compliance and business consulting services, as well as a whole of market mortgage provision, to Directly Authorised financial advisers across the UK. This is achieved through three operating divisions: Tatton Investment Management, Paradigm Partners and Paradigm Mortgage Services. These operating divisions provide support services, such as compliance and business advice, to help directly authorised firms respond to market and regulatory changes, as well as giving them access to discretionary fund management exclusively through fund platforms. Created to support the UK’s thriving IFA sector, the Group has over £4.9 billion of assets under management across 10 UK adviser wrap platforms; has over 360 member Firms, representing over 1,200 individual Independent Financial Advisers that use its regulatory compliance consultancy services; and provides mortgage services to over 1,200 advisory firms comprising of more than 3,000 advisers. All aspects of its business are designed to allow financial advisers to develop their own value proposition by enhancing their range of services in a cost-effective manner, that will ultimately benefit their clients. Tatton Asset Management’s Discretionary Fund Management business has over £4.9 billion under management, providing a core investment proposition to advisers through 10 UK adviser wrap platforms, and can be easily integrated into the growing number of investment wrap platforms in the market. Tatton Asset Management is completely impartial about which platform is used and is unrestricted in respect of integration with new platforms. It provides an outsourced proposition for IFAs allowing them to provide compliant and effective investment portfolio management for their on-platform based clients, at a lower charge than traditional DFM propositions. Click TAM ZEUS for the full archive.